this page is also from the kit that my Grans friend Sharon sent to me. It is a simple page done from a sketch, with the most important part being the journaling. 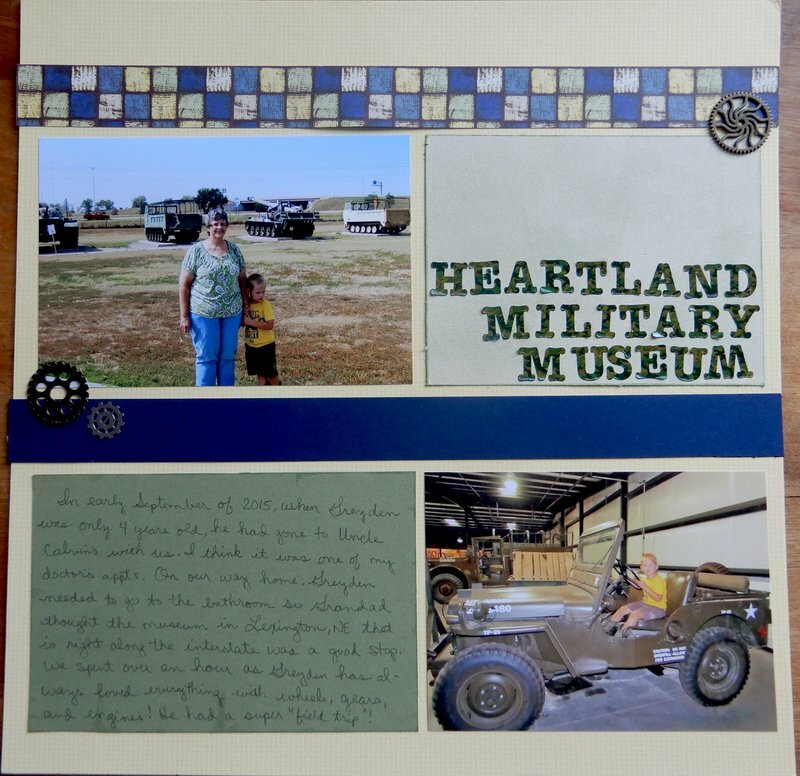 Grandson Greyden loved this museum and when he saw these pictures he asked to go there again! Great gears/cogs that fit so well with the theme of your layout! Love all of the journaling, that will be what the kids read in the years to come! Great journaling!! Definitely not my strong point. Wonderful! Love the journaling! It is so important.